Sift together flour, baking soda, baking powder, xanthan gum and salt. In a large bowl, cream sugar and butter or margarine. Beat the egg slightly, add milk and bananas. Mix in sifted ingredients until just combined. Stir in nuts. 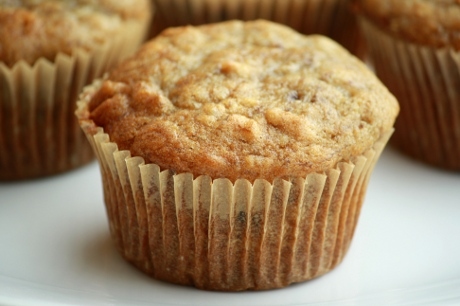 Spread batter into 24 muffin cups.